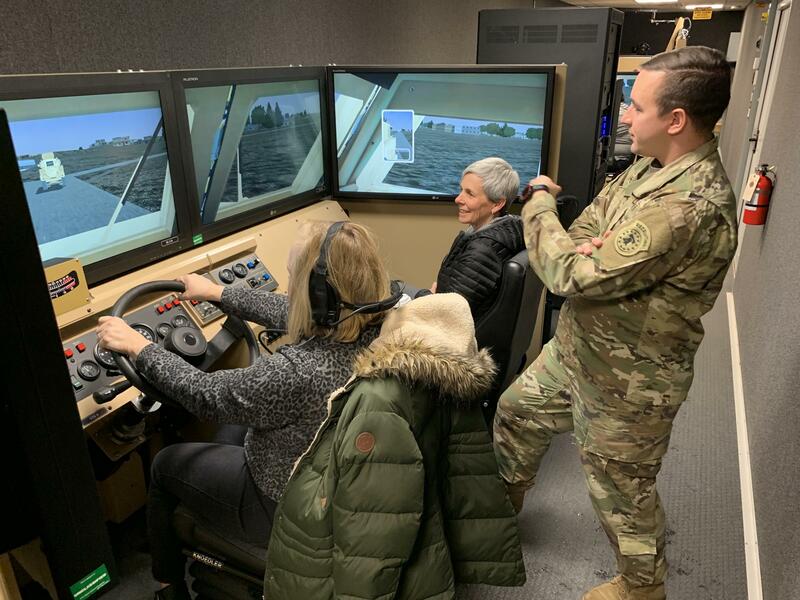 Teachers Kate Bridgman (left) and Lisa Jolstad of Cheyenne Mountain High School in Colorado, sit in a driving simulator at Fort Carson while Army Capt. Wes Barber looks on. 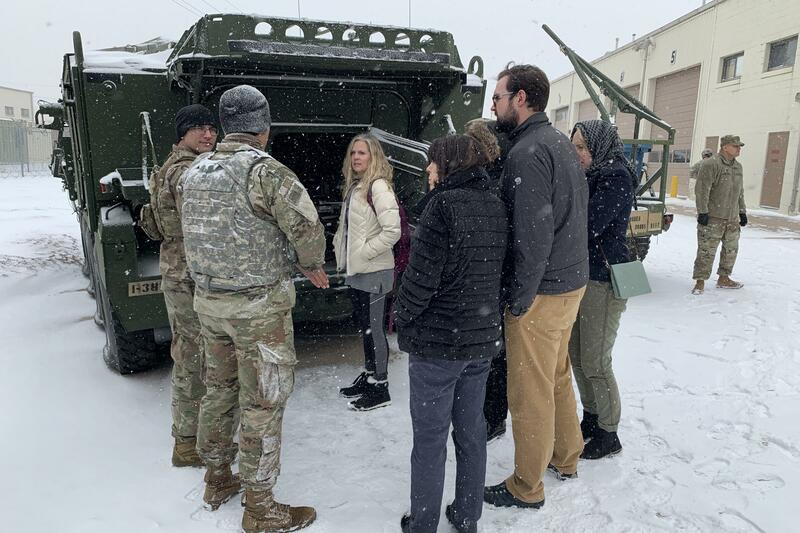 Discover Canyon High School Counselor Staci Wayant (center) joins other Colorado teachers on a tour of military vehicles on Fort Carson. As the Navy plans to increase the number of ships, it's looking for new ways to keep sailors in the service, even allowing them to leave for a year and come back.